Welcome news for A77 motorists. 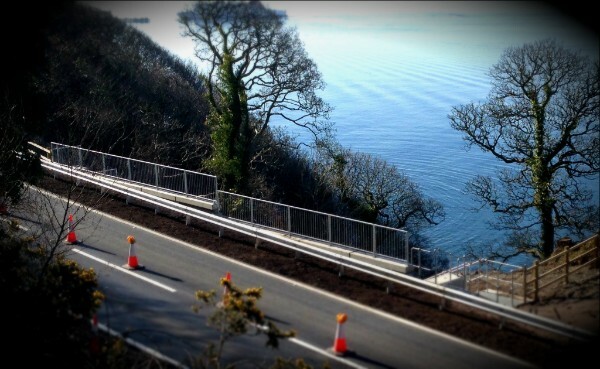 Scotland TranServ, on behalf of Transport Scotland has completed reinstatement works on the A77 Marchburn landslip north of Cairnryan. Now that the works have been completed, and the slope stabilised, we are able to remove the traffic lights and re-open this section of trunk road. We have kept the ferry companies and other key stakeholders updated with our progress throughout. 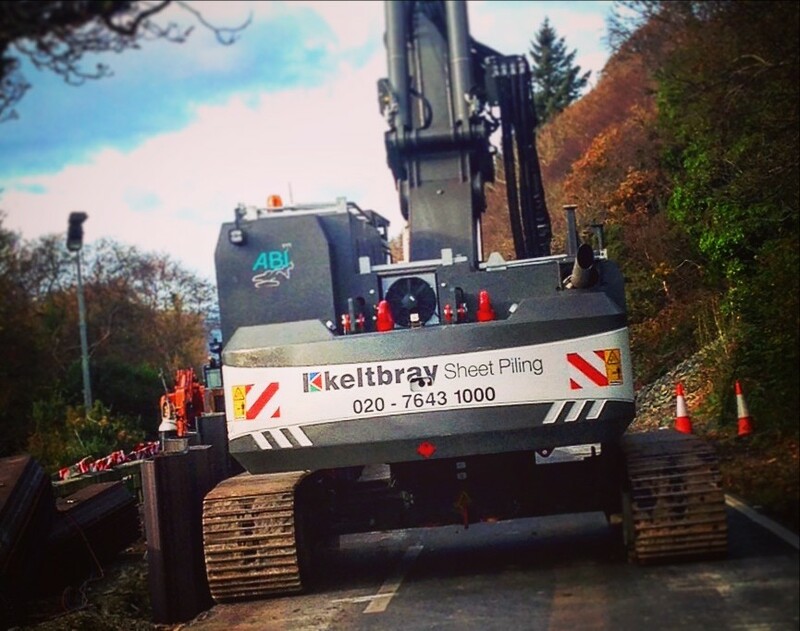 Winter storms in November 2014 caused failures on both sides of the A77 trunk road. 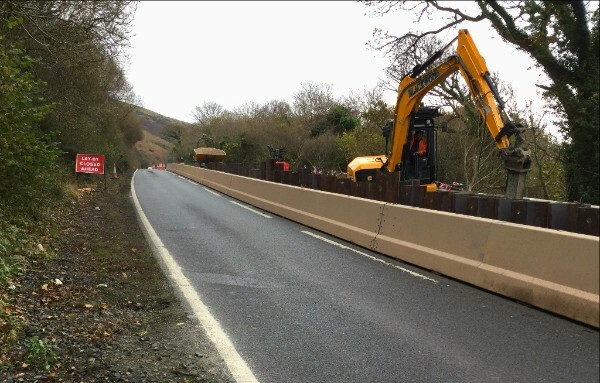 This meant that the embankment supporting the carriageway was compromised, while the upslope embankment deposited debris directly onto the trunk road carriageway. 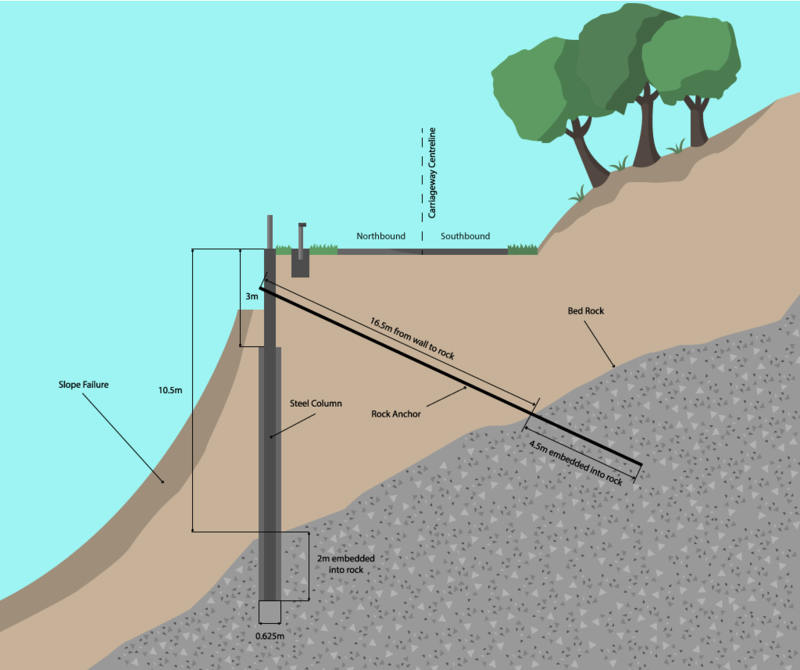 Following a detailed investigation of the landslip and intricate assessment of the unique geography of the area a robust, long-term solution was identified and designed. The complexity of the site was intensified by the high, steep embankment towards Loch Ryan on the downslope. Delivering such a solution required a large, complex project that has over the last few months been carried out by our expert contractors. Despite the additional difficulty of the site geography, where possible we ensured the road remained open and operational, with only one weekend closure to mobilise the work area. In order to minimise disruption, we carried out additional works on the A77 in the area, with the resurfacing of approximately 1km of carriageway at Altimeg, five miles south of Ballantrae. 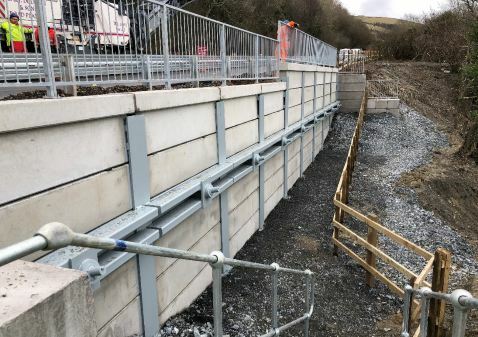 Throughout what has been a challenging winter, engineers have completed the new retaining wall, built on the embankment supporting the A77.